The University of Washington has received recognition as a national leader in sustainability by the Advancement of Sustainability in Higher Education (AASHE). The UW is among the top universities and earned special recognition for its sustainability work in the transportation, food & dining, and wellbeing & work categories. 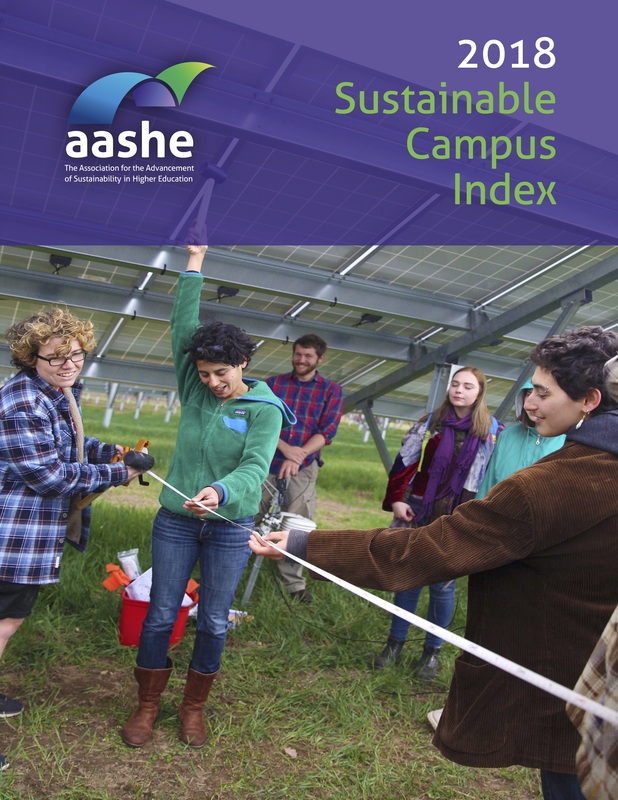 AASHE's 2018 Sustainable Campus Index lists the UW as the No. 2 university in transportation, No. 3 in food & dining, No. 8 for wellbeing & work, and the eighth-best doctoral institution overall. This is the first year the UW received recognition in the wellbeing & work category. "Helping employees thrive in their work and personal lives is a vital link in sustainability and employee retention," said Mindy Kornberg, vice president for Human Resources. "UW has always offered a wide array of benefits to support employees at different stages of their lives, but over the last few years has invested in supporting employees through a community building program that has profoundly impacted access to resources, events and support for personal wellbeing. The Whole U, which focuses on creating connections, holistic wellness and engaging personal interests, helps UW faculty and staff live, learn, engage and thrive." The rankings are from the Sustainability Tracking, Assessment & Rating System (STARS) administered by the Association for Advancement of Sustainability in Higher Education (AASHE). STARS ratings are good for three years. The UW submitted its most recent self-reported assessment in 2015 and received a gold rating, with a score of 77.47 percent. "This is a great honor to be recognized as a national leader in sustainability," said Barbara Wingerson, associate vice president for UW Finance & Administration. "It is through the continued work of our faculty, staff and students that the University of Washington continues to find innovative approaches and solutions to ensure a sustainable future." AASHE’s Sustainable Campus Index recognizes top-performing colleges and universities in 17 different sustainability categories, as measured by STARS. The top performers in each category are determined by points earned by institutions in STARS, and AASHE staff also selected best practices and innovative efforts reported by the institutions for the featured highlights. STARS reports are publicly available. The University of Washington's report is available here.